Our children can learn a lot of things from textbooks and online curriculum but there are some intangible things that cannot be learned through typical schooling. Often, it's intangible traits or characteristics in our children that determine whether or not the will succeed. This list is by no means exhaustive but it's a good start when considering what we want to encourage in our children. Determination, or grit, will sometimes differentiate your child from others. In sports ... See More and other activities, sometimes the person with the most grit gets the best results. Although we hear a lot about "self-made" men and women, there really isn't anyone who did it all themselves. Look beyond the facade and you'll see many times when that person needed to work with others in order to obtain success. People who are curious want to know more about the world and how it works. These are inventors and big thinkers who sometime challenge the status-quo to go on to do remarkable things. This is one of the hardest things to teach some kids. Most kids are born empathetic and grow out of it but others lack the ability to care for other's feelings. Being able to adapt to situations will help your child go further than someone who is stuck in their ways. Adaptability allows someone to see when something isn't working and pivot to move towards a solution to a difficult problem. Want to be notified of any upcoming news regarding the podcast or if I'm speaking in your area? Join my spam-free mailing list. You'll receive quarterly updates and news about future projects and I'll let you know if I'm speaking in your area at a homeschooling convention. 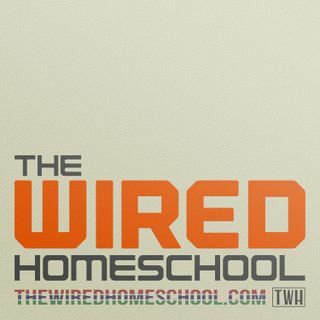 The Wired Homeschool is a proud member of the Tech Podcast Network. For more family-friendly tech podcasts visit techpodcasts.com Music for the podcast by Kevin Macleod.